The wonderful Wizard of OZ! 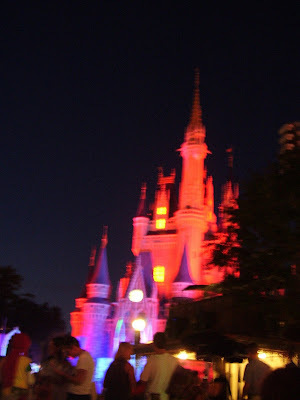 Well, actually, I'm off to see the Mouse at Disney, but there is a Wizard of Oz ride there at MGM I'm sure Mr. Bean and I will be riding. So have a great week, and I'll catch you on the flip side! At this rate, you're going to think that all of my posts are going to the birds . . .
but I just couldn't help myself. This is just too sweet. Not to mention that we needed a happy bird story since we all just had the sadness of losing Alex. Plus, I just LOVE monkeys. Most of us probably find pigeons annoying - they're dirty, all over the place and their poop - well yuk. Raise your hand if you have been pooped on! Anywho, here is one pigeon that gives all pigeons their good name back. And as a lawyer, believe you me, I understand wanting your good name back. 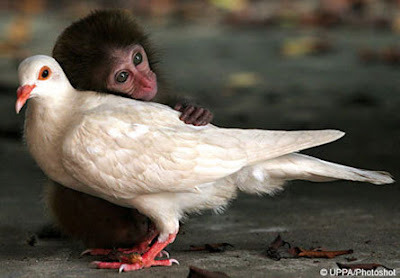 This is a story about love - the love of a pigeon and a monkey. Poor little monkey was abandoned by its mommy and left to die. Thankfully, an animal hospital took the baby monkey into save it; but the monkey just was not interested in life. Until it met its soul mate - a pigeon. Now, baby monkey seems to be in love, the feeling appears to be mutual; and the baby monkey now has a joie de vivre again. One thing I noticed was I couldn't find either of their names in any of the articles I saw. So I want to take a poll of names - send your comments in. My vote: Beauty (pigeon) and the Beast (baby monkey). No surprise that I picked a Disney name, is it? Well, another great researcher has passed. And although all researchers are special in their own way, this researcher not only made waves in the human world, but in the avian world as well. 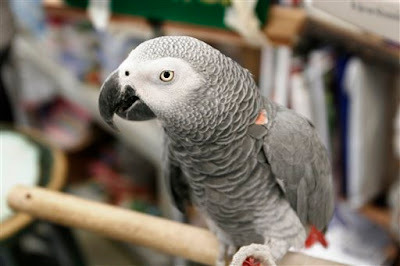 Goodbye Alex, the amazing African Grey Parrot. And Alex was amazing. He could count to six, knew and said 50 words, and my favorite, expressed frustration when the scientific tests he was helping to conduct would bore him b/c they were so repetitive. He would even tell other parrots to essentially stop mumbling by advising them to "speak better". A bird after my own heart. And he died too early at age 30 (these type of birds live to about 50 years old). But it is obvious he was not only loved, but will be missed horribly. He is missed so much that they waited several days to tell of Alex's passing so the other researchers, and his friends, could mourn privately first.